Yesterday I wrote about how innovation requires courage. It takes guts and vision to do something that is so remarkable, that it changes everything. Here then, is a great example. Innovation in the gaming industry is hard to come by. Games haven’t changed much in the last decade. The only noticeable different take on games was introduced by one of my favorite gaming studios, Rockstar Games, the creators of the Grand Theft Auto Series and the recent Red Dead Redemption. They introduced games with free roaming worlds and great story telling, approaches that have been adopted by various game studios and applied to other genres with great success. 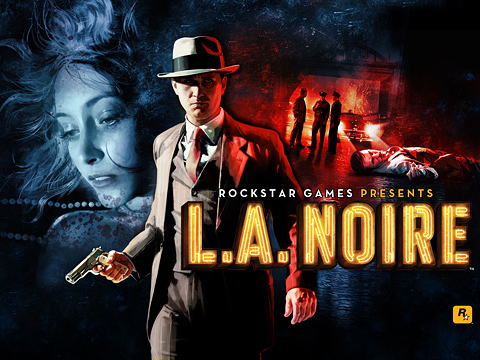 And now, with the recently released L.A. Noire, they’ve topped themselves once more. Video game developers have been making realistic cars and buildings for years, but L.A. Noire is set to take facial realism to the next level. To take advantage of the absorbing investigation mechanics they wanted to introduce into the gameplay of L.A. Noire, Rockstar developed a new type of facial scanning technology. But why develop new technology? Because this motion scanning technology fully captures the facial movements in actors face (similar to the technology used in the movie Avatar). And, because you are a detective in the game, you’ll be interrogating witnesses and observing their facial gestures to make better decisions. And if you don’t read facial expressions correctly, it could be the end of your case. Yes. This takes interaction to another level. Our interaction with the game is much more rich, it’s a totally different experience from just clicking buttons. If we couldn’t observe the facial expressions of in-game characters, this game would not be the same because it adds another dimension to the game play. It would be just another Mafia. Rockstart Studios is known for having both guts and vision, constantly upping the ante on game play and overall game experience. And in a medium of ‘me too’s’, LA Noire is refreshing and sets a new standard in storytelling. They clearly had a vision of what they wanted to do. Implementing a technology 5 years in the making and then building a game that not only showcases that technology but is a key enabler to the game play, they created a game changer. L.A. Noire is a bold and unique take on games as entertainment. No one’s ever played a game like this before. Fresh, different and totally unique. A game that is truly deserving of recognition. What are the fundamental outcomes of innovation? What are the most important things you can do to speed and improve the creative process? Tagged Grand Theft Auto, Grand Theft Auto Series, la noire, Red Dead Redemption, Rockstar Games, Team Bondi. It's a challenge to introduce something different into familiar contexts. It takes guts to break from the familiar.